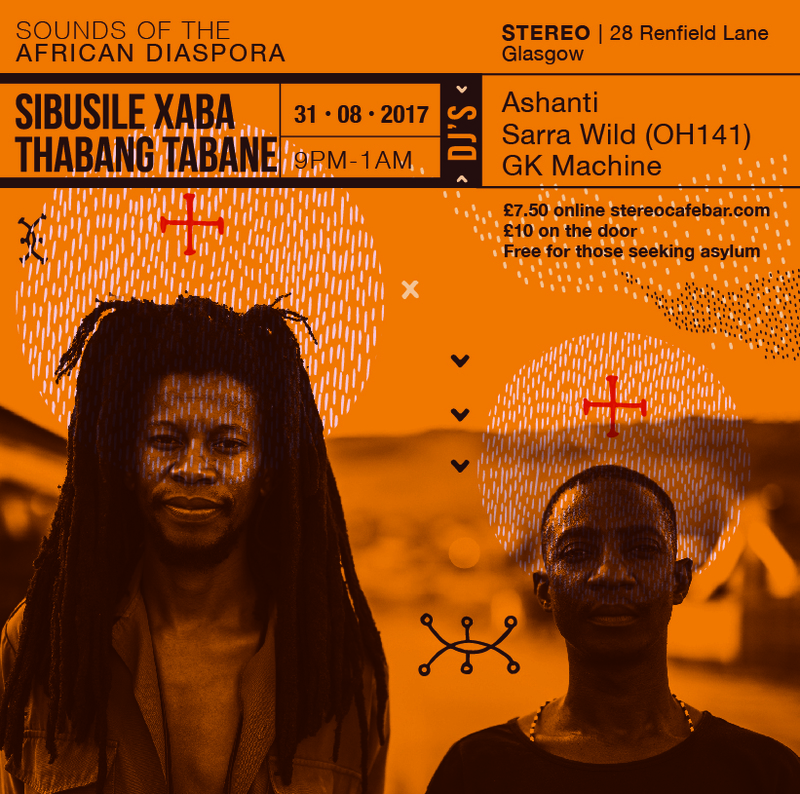 A night of live music from Sibusile Xaba and Thabang Tabane, an explosive collaboration between two trailblazers of South Africa's avant-garde. They will be accompanied by Afro-Beat DJ sets from Glasgow's Sarra Wild (OH141), Ashanti and GK Machine. This is the first collaboration between Mushroom Hour Half Hour and Artists' Julia Scott and Mele Broomes, exchanging new ways to collaborate between Scotland and South African based artists. Mushroom Hour Half Hour is an experimental music imprint from Johannesburg, South Africa (www.mushroomhour.com). They move around with a mobile studio producing recordings with musicians that would not ordinarily play together - musicians from different generations, countries, traditions and musical styles - to form unique, once-off collaborations.